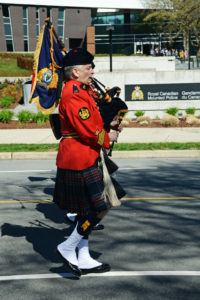 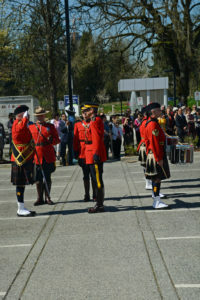 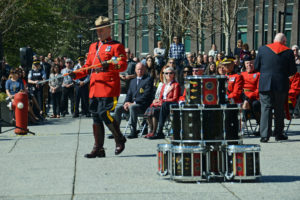 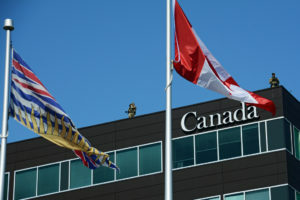 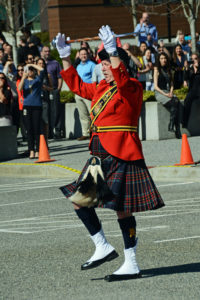 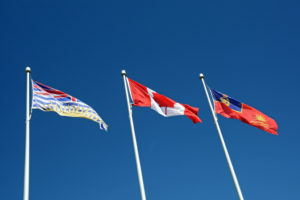 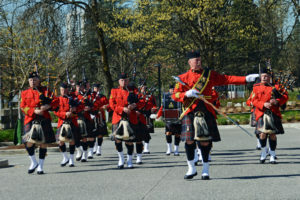 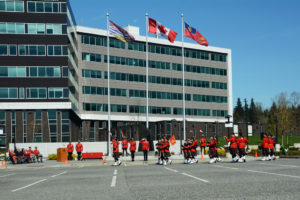 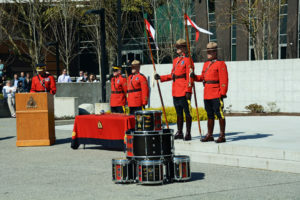 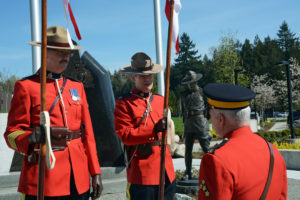 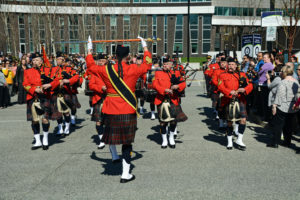 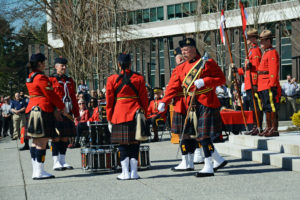 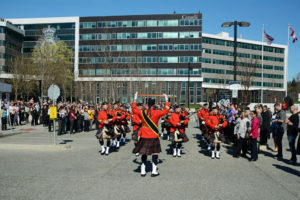 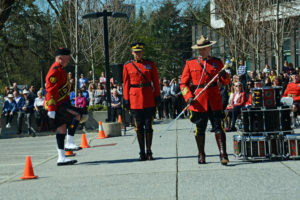 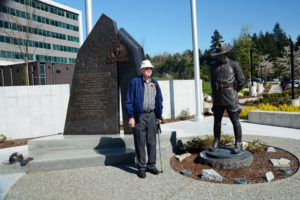 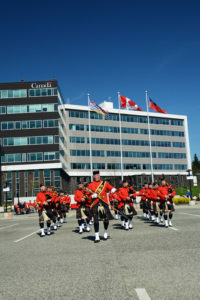 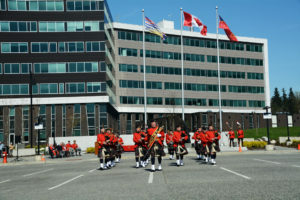 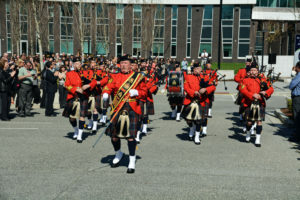 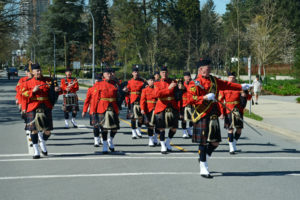 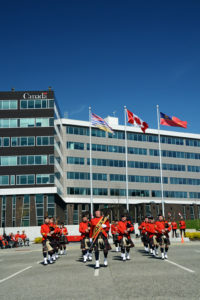 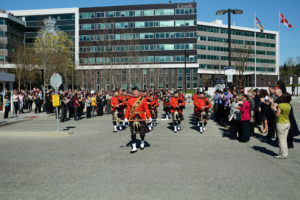 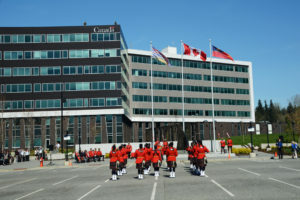 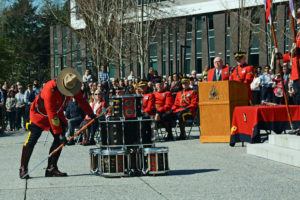 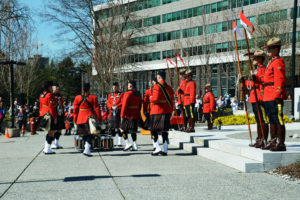 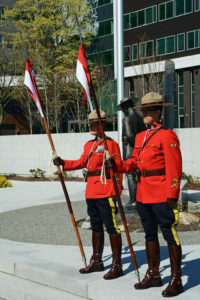 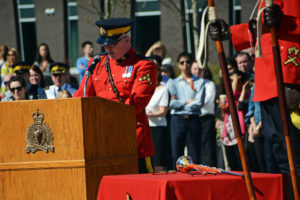 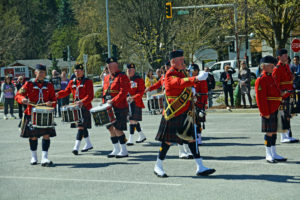 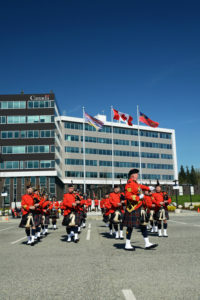 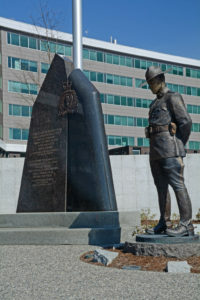 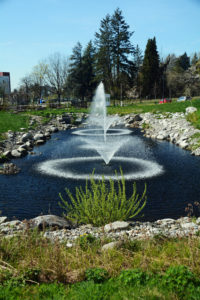 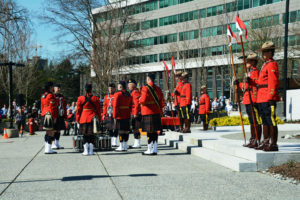 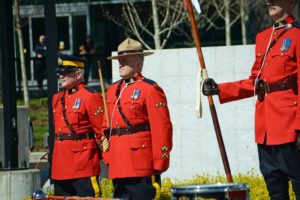 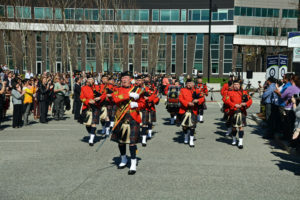 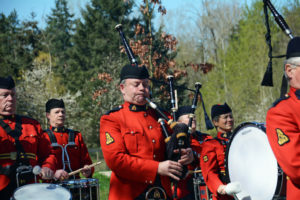 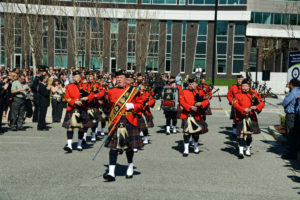 This ceremony took place at the “E” Division Headquarters, Surrey, B.C. 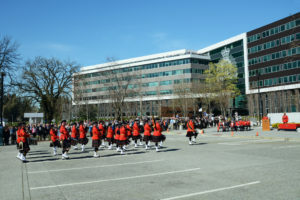 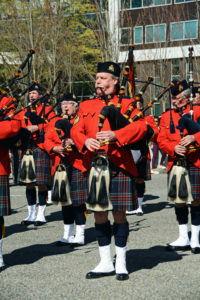 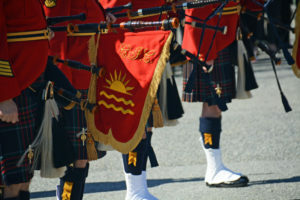 The Pipes and Drums, made up of civilian volunteers, marched onto the parade square. 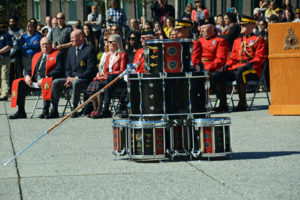 They then formed a drumhead and laid the old Drum Major’s Mace on the drumhead. 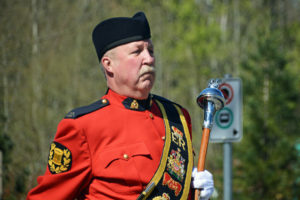 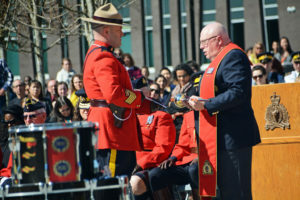 Sergeant Major Hall then retrieved the old mace, placed it on a table, and then took the new mace to the RCMP Padre for its consecration. 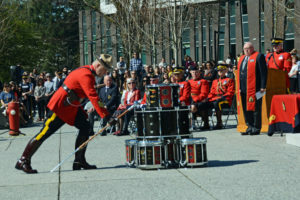 It was then laid on the drumhead. 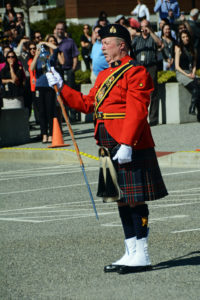 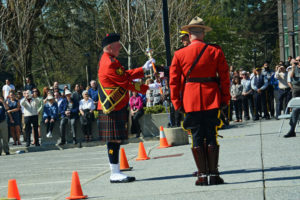 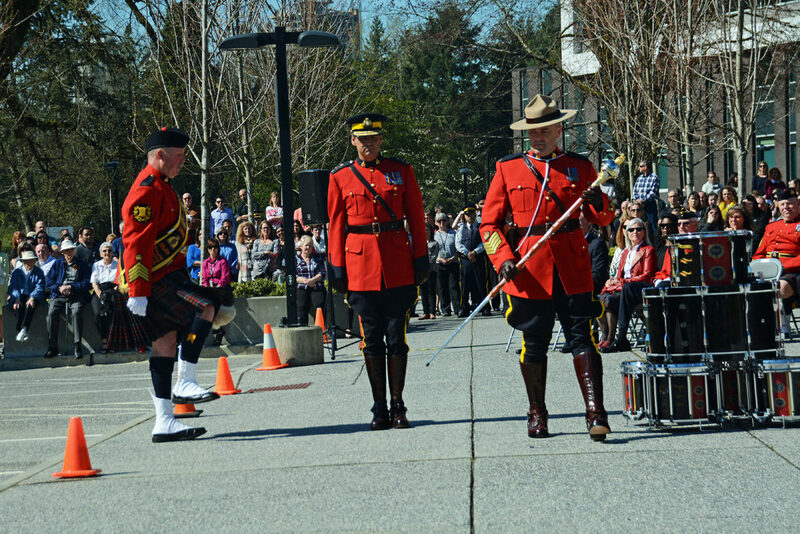 A senior RCMP officer then presented the new mace to the Drum Major. 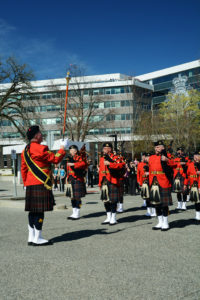 The Pipes and Drums did a march past of the reviewing officers and then marched off. 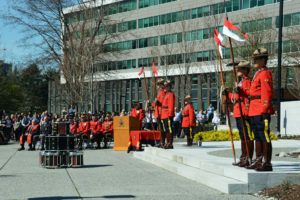 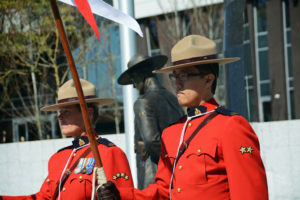 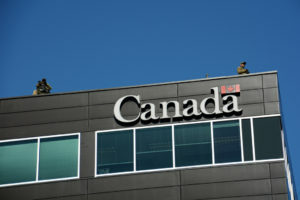 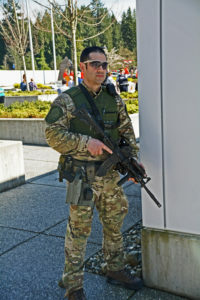 During the ceremony, the RCMP Emergency Response Team provided protection both on the ground and from the roof top with counter-snipers. 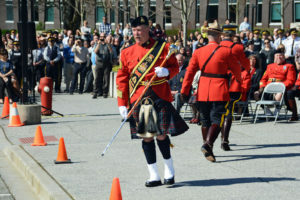 This was Sergeant Major Hall’s last parade as a Non-Commissioned Officer as he was about to be Commissioned as an officer. 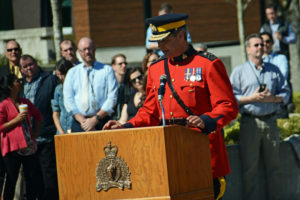 His proud father, Ric Hall, himself a retired RCMP member was proudly watching. 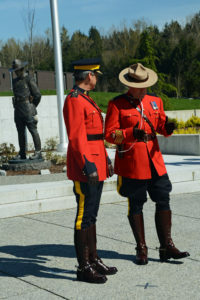 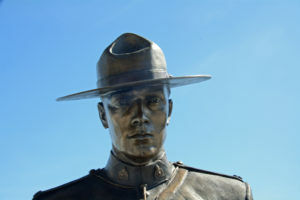 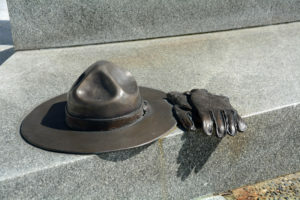 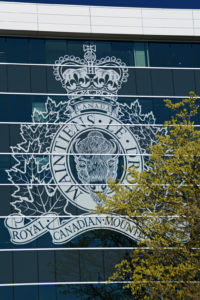 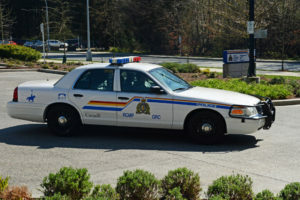 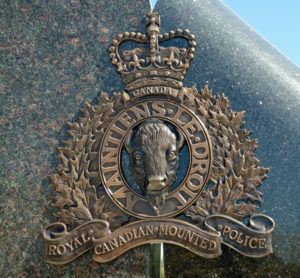 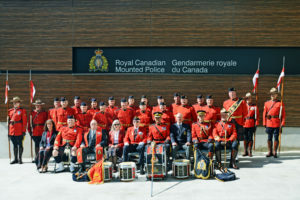 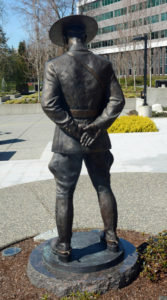 Link to my page on the Royal Canadian Mounted Police (RCMP).